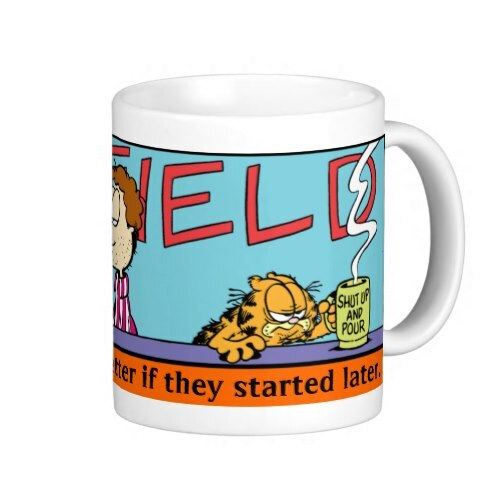 A funny, customizable, coffee mug, starring Garfield and his owner Jon. The right mug for the night owls amongst us. I'm one. Garfield was created by Jim Davis. Published since June 19, 1978, the comic strip chronicles the life of the cat Garfield; his owner, Jon Arbuckle; and Jon's dog, Odie.